NATO agreed on Wednesday to a three-month extension of its illegal bombing campaign in Libya. The agreement on the continuation of the military aggression against the sovereign North African country came at a meeting of ambassadors of the 28 NATO states in Brussel. On Tuesday, NATO Secretary General Anders Fogh Rasmussen already said during conference at UN headquarters in New York that the mandate, which is interpreted by the US-led NATO as an excuse to allow its terror bombing on Libya, will remain in place until revoked by the UN Security Council. Rasmussen called the Western aggression on Libya which has killed thousands of Libyan civilians including three baby grandchildren of Libyan leader Muammar Qaddafi and destroyed much of the country’s civilian and public services infrastructure including a huge water supply and a television station “effective”. NATO launched the illegal war with aerial bombardment, drone and missile strikes on Libya in mid-March, saying the UN Security Council Resolution 1973 gave them a mandate to bomb the country to demand demand a no-fly zone to “protect the Libyan civilians”. Under this “protecting” guise, the U.S. military, NATO, and the United Nations took part in the bombing of Libya, claiming to support a so-called popular and spontaneous protest which for many obvious reasons has been a CIA operation from the beginning. 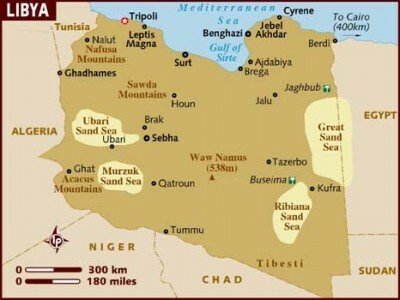 With NATO still carrying out daily bombing raids in a desparate attempt to kill the Libyan leader, reports of massacres and atrocities committed by the rebels who represent the so-called “new democratic Libya” continue to mount, many of them directed against the large numbers of sub-Saharan African migrant workers who have been killed, abused and detained solely on the basis of the color of their skin.